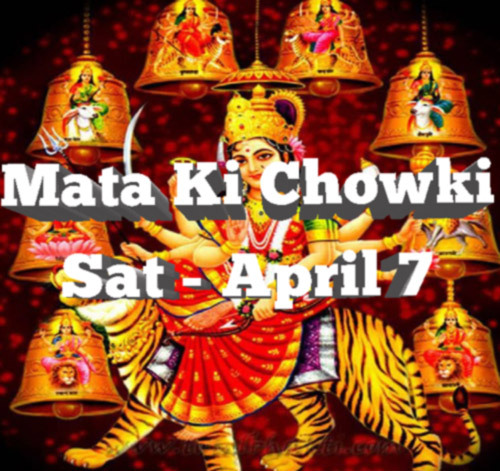 Please join and participate with your friends and relations to sing the glory of revered MOTHER on the occasion of Mata Ki Chowki at HSNEF on Saturday, April 7th, 2018 from 3.00PM to 7.00PM. 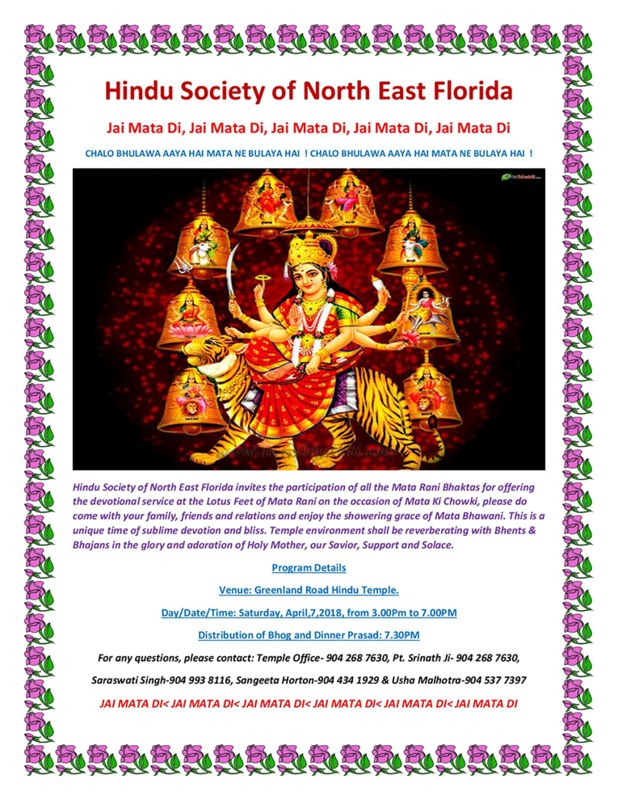 For complete details, please refer to the attached Flyer. May Mata Rani Bless all!